Back in 2007, Zack Snyder’s stylishly-directed 300 was a surprise hit, slashing its way to $456 million at the global box office. The director has since busied himself with a little known film called Man of Steel (2013), which gets its worldwide release this week, and so the reins have been handed over to Noam Murro for the next chapter of the saga, 300: Rise of an Empire (2014). Yesterday saw the unveiling of a new poster and, as is the trend these days, a new trailer has swiftly followed. Based on Frank Miller’s graphic novel Xerxes, the film will focus on the battle of Artemisium and Greek general Themistokles’ (Sullivan Stapleton) efforts to unite all of Greece by leading the charge that will change the course of the war. In his way are Persian naval commander Artemisia (Eva Green) and the still ludicrously clad Xerxes (Rodrigo Santoro). 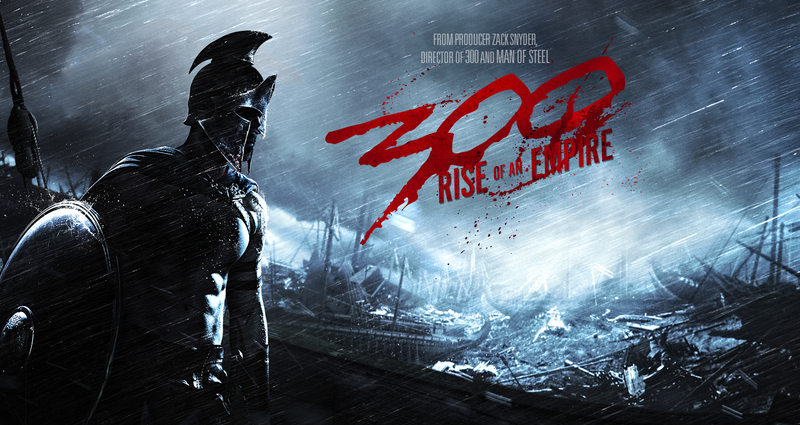 The events of 300: Rise of an Empire take place before, during and after the events of 300, and so the film will function as both a prequel and a sequel. The trailer opens with a voiceover from Game of Thrones alumni Lena Headey – who returns as Queen Gorgo – although it’s unlikely she’ll play a huge part this time round. On the basis of this footage, it would seem that Murro has retained the visual style of Snyder’s 2007 effort; the trailer is teeming with slow-motion visuals, and the action sequences teased look every bit as violent and bloody. Speaking of the action, much more of the bloodshed will be transpiring on sea as opposed to land this time round. We’ll have to wait until 2014 to find out whether or not that will be enough to distinguish itself from 2007’s sword and sandals epic, but for now at least it seems that 300: Rise of an Empire will be more than just a cheap knock-off. Noam Murro’s 300: Rise of an Empire will charge its way into US cinemas on 7 March, 2014. It has yet to be assigned a UK release date. This article was originally published at CineVue. This entry was posted on June 14, 2013 by Amonymous. It was filed under Film Trailers and was tagged with 300, 300: Rise of an Empire, Eva Green, Frank Miller, Lena Headey, Noam Murro, Rodrigo Santoro, Sullivan Stapleton, Zack Snyder. I cannot wait!!!!! I LOVED 300. Doesn’t look nearly as good but I’m game. I also love 300! Not so sure about this one this one. No Gerard Butler. Zack Snyder not directing. Approach with cautious optimism. Agreed, reminds me a little of the Mummy and then the bad Munmy sequels. I actually thought this would be direct-to-video-ish but the trailer pleasantly surprised me! Very excited for this sequel. This clip is gore-geous.